While the Europa League may often play second fiddle to the pageantry of the UEFA Champions League, it remains a premier source of establishing one of the best clubs in the continent. 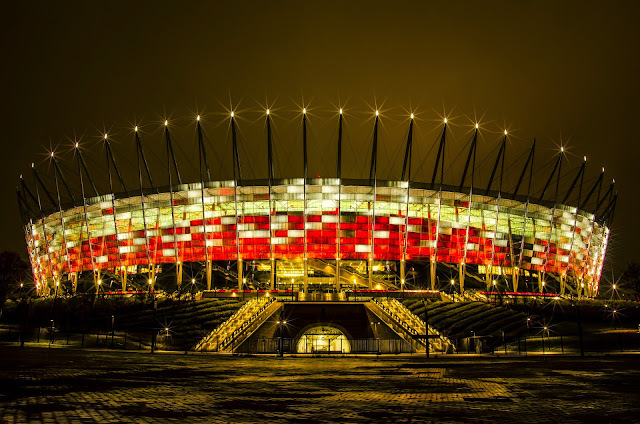 Dnipro and Sevilla will battle for those bragging rights and claims in Warsaw's Stadion Narodowy—here I break it all down. Wednesday night really is going to be something special and not just because little old Dnipro have reached their first ever European Final but because Sevilla can lift the trophy for the second successive season and become the most successful team ever in the history of the competition and see Spain have five teams in the Champions League next season which would be truly sensational. Dnipro are a small club compared to most clubs on the European Stage and lie in the Ukrainian City of Dnipropetrovsk which is just under 250 miles south east of the capital city Kiev and has a population of more than 970,000 people. Dnipro were formed 97 years ago in 1918 and since then have appeared in two Champions League Quarter Finals in 1985 and 1990 aswell as winning the Ukrainian Cup in 1989 and the Ukrainian Premier League in 1983, 1988 and are likely to finish second or third this season with the league season in Ukraine yet to finish. Dnipro have the chance to become the third Ukrainian side to win the Europa League after Dynamo Kiev and Shakhtar Donetsk and entered this season's Europa League in the third Qualifying round and have had to endure 18 games to reach Warsaw. Sevilla have endured 14 games to reach Warsaw and that included a stunning performance over two legs to put out fellow La Liga side Villarreal in an overall 5-2 success on aggregate and if they are victorious in Warsaw they will win the competition for two seasons running and qualify for next season's Champions League and be entered directly into the group stages. Sevilla have played some great football this season and finished the La Liga Season with 76 points their highest points total in La Liga in the club's history which is an incredible achievement and so is the fact that they pushed Valencia right till the end of the final day for that fourth spot whilst competing in the Europa League and their league form was never to be damaged by the Europa League really. In Carlos Bacca they have a man who has the strength to get past defenders and he also has an eye for goal and has the finishing ability to boot too and has twenty goals to his name this season and it's no surprise to see him being linked with clubs like Atleti in the summer because he has a brilliant striker and his goals have played a big part in Sevilla's success this season. This is Sevilla's fourth Europa League Final and victory would see five Spanish teams in the Champions League next season but as I've previously mentioned it would make Sevilla the most successful team in the history of this competition. Sevilla ended a 58 year wait without a major final in 2006 and did it in style by thumping English side Middlesbrough 4-0 in the Dutch city of Eindhoven and the following season they won the competition for a second season running by beating Espanyol on penalties in the Scottish City of Glasgow and last season they won it yet again by beating the side from over the border in Portugal in Benfica 4-3 on penalties in the Portuguese Capital of Lisbon. Sevilla aren't just a good attacking team but they are a well structured team and a well organised one too but what makes them an even bigger threat is their counter attacking and with the likes of Vitolo, Reyes, Vidal to pick from on the flanks plus the threat of Bacca up top and options in midfield with the likes of Banega, Iborra, M'Bia, Krychowiak and Denis Suarez this Sevilla side have bags of quality in midfield and when it comes to picking two defensive midfielders to sit and protect the back four they don't lack in that too and M'Bia and Iborra can do that just superbly. Sevilla are the most successful club in the Andalusian Region of Spain winning La Liga in 1946 and have won five Copa Del Reys, one Spanish Super Cup and three UEFA Europa Leagues and one UEFA Super Cup and since forming in 1890 they've not been starved of success in recent times. Bacca is Sevilla's top scorer in the Europa League this season with five goals and with Gameiro and Aspas as cover in attack even without Bacca Sevilla could field a striker more than capable of adding the goals to the team in a huge final like this. Sevilla have lost just once away from home in the Europa League this season and that came away to Feyenoord in a 2-0 away defeat in November but that is Sevilla's only defeat in the Europa League this season and they won every single game at home in the Europa League this season and have lost just one game at home in all competitions since February 2014 giving them the best home record in Europe this season. Sevilla's seven away games in the Europa League this season has seen them win three, draw three and lose just one scoring at least two goals in five of those seven and have scored at least two goals in their last four European away games. 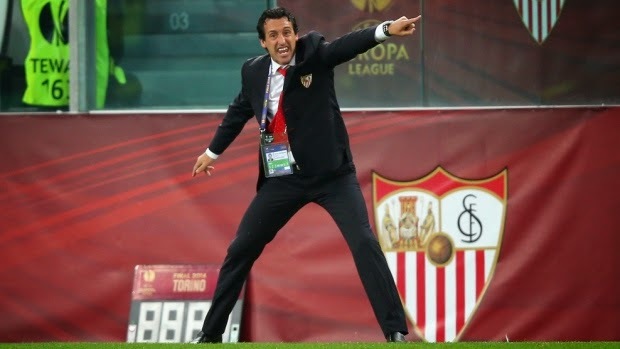 Unai Emery is fast becoming one of the best up and coming managers in the whole of Europe and is wanted by AC Milan and many of Europe's top clubs and it's no surprise to see his stock rising as he's built on last season's success in Lisbon with yet another wonderful season with Sevilla. Unai Emery was born in the Basque Country and if Luis Enrique heads for the exits at Barca in the summer then the talk of Emery becoming manager of FC Barcelona will become even louder and it's something that has been talked about in the past very much. I love Unai Emery and he just doesn't get enough credit for me because I feel some people overlook him and his work and discredit him just because he isn't manager of a club like Barca or Real Madrid which is ignorance and a disgrace. I do feel that Real Madrid should appoint him but I highly doubt Florentino Perez has the mind to think sensibly because if he did then Unai Emery would certainly be approached and I'd be gutted to see Unai Emery leave Sevilla but I do feel that if they don't win the Europa League he will depart in the summer. Unai Emery's first trophy in management came in Lisbon last summer but when you consider he's managed Almeria, Valencia and Spartak Moscow before that then a trophy is unlikely at those clubs but at every club he's been at he's managed at least a 45% win record and as a manager he has an overall win record of just under 48% and has lost 138 games, won 243 and drawn 127 in his 508 games as a manager. He consistently got Valencia into the Champions League when he was there even despite many financial problems and troubles off the field which was a great achievement and now he looks to create history with Sevilla by winning in Warsaw and being involved in the Champions League yet again whilst adding another trophy to a fast improving CV. Dnipro's only previous encounter with a side from Spain was a 2-1 away defeat away to Zaragoza in 2004 in the group stage of the UEFA Cup. Sevilla are unbeaten in four meetings with Ukrainian sides with a draw and three wins including a win against Shakhtar Donetsk in a 5-4 aggregate success in the last 16 and they went onto the win the competition for the second season running. In 46 meetings between the Spanish and Ukrainian Clubs in European Competitions, the Ukrainian sides have recorded nine wins to the Spanish sides 24, with 13 games ending in draws. The Spanish sides are unbeaten in the most recent four games with two wins and two draws. Spanish and Ukrainian sides have met in one previous UEFA final when Dynamo Kiev beat Atleti 3-0 in the French City of Lyon to win the Cup Winners Cup in 1986. In the only previous meeting between Spanish and Ukrainian Clubs this season, Bilbao drew 0-0 with Shakhtar Donetsk to at San Mames in the UEFA Champions League group stage, and won 1-0 away in Ukraine. Sevilla have reached the final three times before and have won won all of them. Dnipro have not lost in their last four Europa League games drawing two and winning two and scoring three goals in the process. Sevilla have won the most games in this season's UEFA Europa League with ten wins, three draws and one loss compared to Dnipro who have won six, drawn four and lost. Sevilla and Italian Side Napoli are the top scorers in this season's Europa League with twenty six goals from their fourteen games played and Dnipro have found the net just thirteen times in their 18 Europa League Games this season. Sevilla have conceded 12 goals in this season's Europa League whilst Dnipro have conceded ten. Sevilla's Daniel Carriço has made more Europa League appearances than any other player in the competition's history: 47. Sevilla's Grzegorz Krychowiak is the only Polish player who can feature in the final in his home country, though French team-mate Timothée Kolodziejczak is of Polish extraction. Dnipro goalkeeper Denys Boyko and central defender Douglas have featured in every minute of their campaign since the start of the group stage – 1290 minutes of football in total. The host of this year's final. Dnipro's Ruslan Rotan has committed more fouls with 31 than anyone else in this season's Europa League. Sevilla's Stéphane Mbia is running him close with 29 fouls. Midfielder José Antonio Reyes is Sevilla's most experienced European campaigner with 90 apperances in Europe whilst Dnipro's is Ruslan Rotan with 63. Sevilla are hoping to become the first side to win the Europa League for a fourth time. FC Internazionale Milano, Juventus and Liverpool FC also have three victories. Sevilla could become Spain's fourth winners in six Europa League campaigns. No La Liga side has ever lost to foreign opposition in a Europa League final. Dnipro have committed 247 fouls which is the most fouls in this season's Europa League and have received the most yellow cards with 51 twenty more than Sevilla's 31 and the most in this season's competition. Sevilla have played 138 European Games compared to Dnipro's 114. Sevilla's record in European Final Penalty shoot-outs read four wins and one defeat. Seven of the last eleven Europa League finals have been settled in 90 minutes and six of the last eleven Europa League finals has had a side from La Liga involved and every single time a side from La Liga has won. This final for me will be a truly wonderful event put on in a stadium I rate quite highly and I really do believe it's the right host this year and Warsaw will do Poland proud and put on a great show and Basel will have a lot to live up to next season. I do see Sevilla making history though by beating Dnipro in this one and I think this game is going to see three goals at least because I struggle to see how Dnipro can cope with Sevilla's attacking quality and I fully expect Emery's men to win this by two goals or more. Vidal, Reyes, Banega, Gameiro and Bacca who are all excellent attacking options for Emery will prove too strong for a Dnipro backline who lack experience on the European Stage and in Warsaw the nerves will get to them. Even if Dnipro did manage to surprise me by keeping it tight I can't really see them managing to open up Sevilla enough times to hurt them because with M'Bia and Iborra protecting a well structured and well organised top four it's very difficult to see Dnipro hurting Sevilla. Emery's men will be victorious in Warsaw and I will be absolutely delighted to see La Liga's dominance on the big European Stage continue and the prospect of five Spanish teams in the Champions League and the prospect that if they avoided each other in the last 16 draw we'd have five Spanish teams in the Champions League Quarter-Finals is an even more exciting prospect. Match prediction: Sevilla to win in 90 minutes. 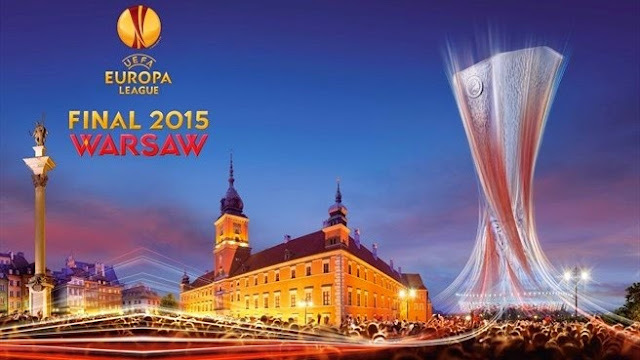 Breaking down the 2015 Europa League Final between Dnipro and Sevilla.